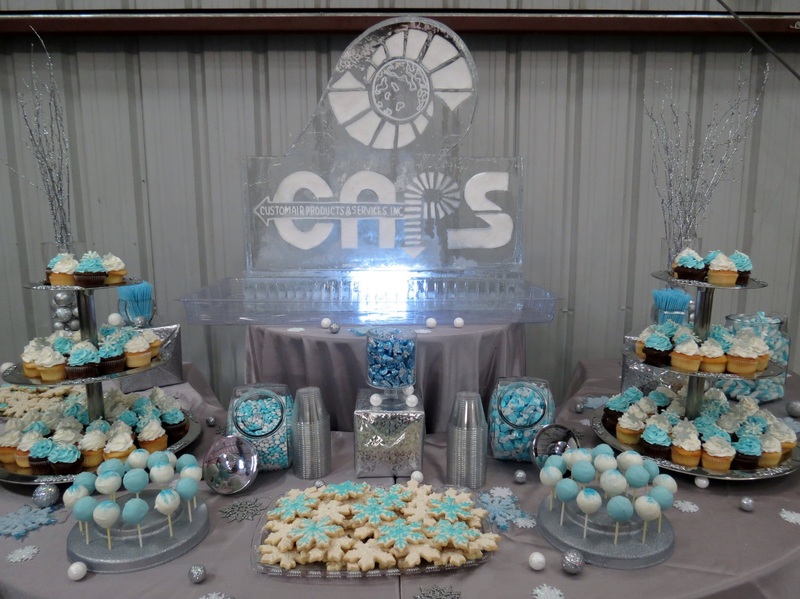 CAPS, a full-service Custom HVAC company in Houston, TX, threw a fabulous 2015 Holiday luncheon for their employees, vendors, and customers on Thursday, December 10th. Snow was literally falling (in 80 degree Houston weather!) as employees, vendors, and customers walked the red carpet, past three of CAPS’ featured products, into building D. The usual warehouse was transformed into a glittering winter wonderland! The celebration included a delicious meal, entertainment, photos in a gigantic snow globe, and a raffle giveaway of prizes including TVs, tools, and everything in between. 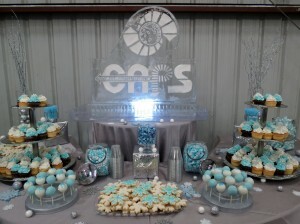 A beautiful dessert display featuring an ice sculpture of the CAPS’ logo set the festive atmosphere in motion. The most touching part of the cele bration, however, was a beautifully decorated Christmas sled, overflowing with gifts donated by the employees of CAPS, as well as their customers and vendors, for B.I.G. Love Cancer Care (http://www.biglovecancercare.org). 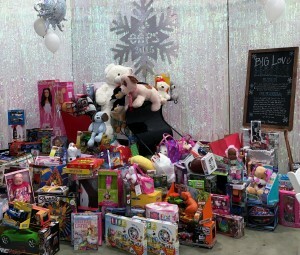 The first annual toy drive, initiated by CAPS, will provide toys to children who are encouraged to choose a special surprise from the B.I.G. Love Toy Closet after visiting Texas Children’s Hospital. Heartfelt thanks to CAPS and their employees, customers and vendors for their generosity. The mountain of toys, which continued to grow throughout the event, will certainly bring smiles to the faces of a lot of children and their families this holiday season. Thanks so much to everyone who made a donation! Over 200 employees and 100 vendors and customers were guests at the 2015 Holiday luncheon. Taylor Norris, CEO of CAPS, thanked everyone for attending, and for their partnership, hard work and dedication throughout the years. CAPS, a full-service manufacturing, installation and service HVAC company which operates on almost every continent could not have grown without continued support, which is very much appreciated. 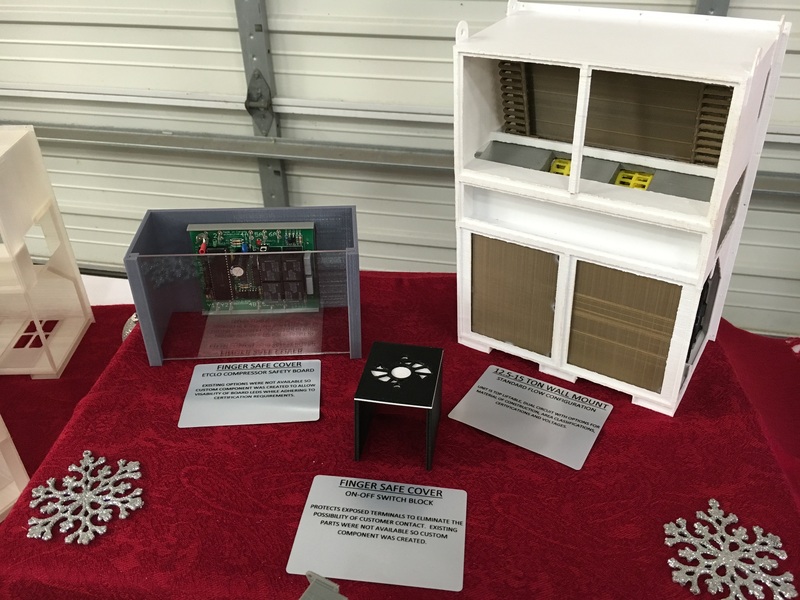 CAPS also had a table highlighting their latest 3-D mini-models of their custom commercial and industrial HVAC units and parts, including a 5 Ton Cabinet Cooler, a Controller Support, a 500 Ton Rental Chiller, 2 Finger Safe Covers, and a 15 Ton Wall Mount. In addition, the 2 in-house 3-D printers CAPS purchased approximately a year ago have helped them to create an even more streamlined custom HVAC manufacturing process. With this new technology, CAPS is able to perform testing on their custom HVAC units in a faster, more efficient manner than ever before. Thanks to all who attended the CAPS 2015 Holiday luncheon! The continued growth that CAPS has experienced, year after year, is a direct result of YOUR hard work, dedication and support. Happy Holidays to you and your family! Please contact CAPS at 713-460-9009 or on our website at http://customairproducts.com/contact-us/ for all of your commercial and industrial HVAC needs.